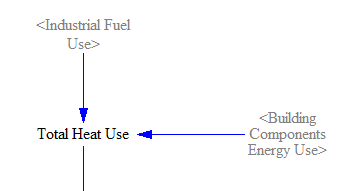 In the Energy Policy Simulator (EPS), “heat” is an energy carrier like electricity. 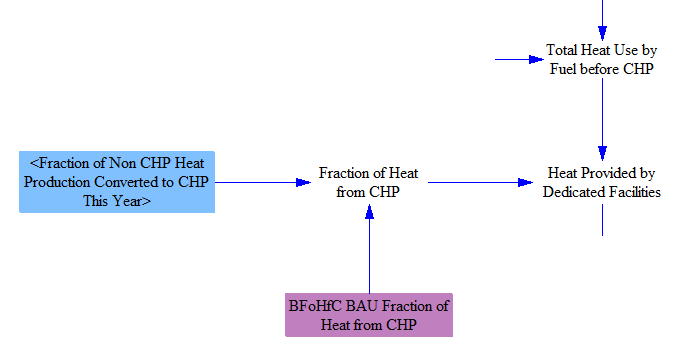 It is generated centrally by district heat plants (which may be CHP plants and also produce electricity), then distributed to buildings and facilities that use the heat. 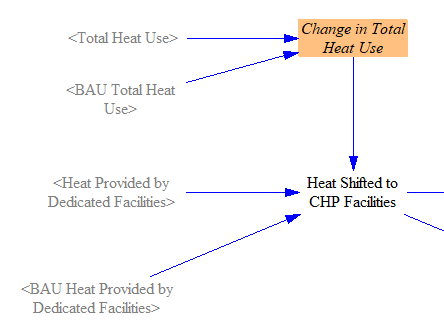 In the U.S., district heat is a relatively minor part of the energy system. It is only used by commercial buildings, not by residential buildings, nor industrial facilities. However, the structure in this model section supports countries for which district heat plays a more important role (so the model can be more easily customized by swapping input data). 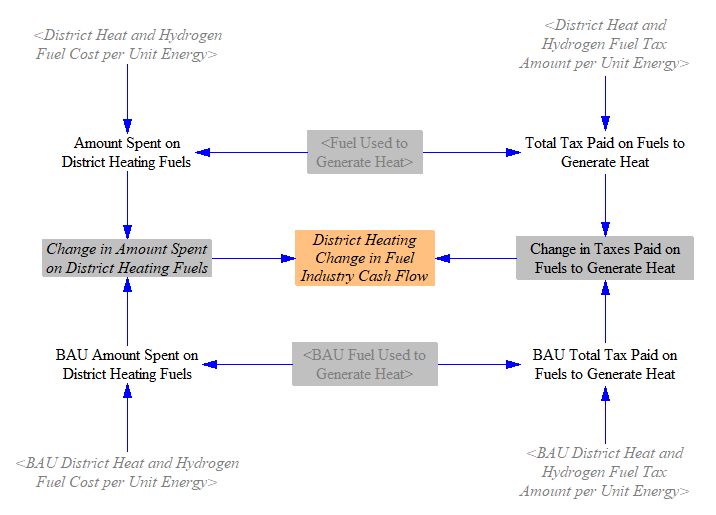 All calculations for district heating (Policy case, BAU case, and cash flow) are handled on one sheet in the Vensim model. As is the case for other sectors, the documentation here only discusses the policy case and cash flow, not the BAU case.